For those who do not know about it, PayPal is an online payment system enables any individual or business with an email address to securely, easily and quickly send and receive payments online. It's available in 190 countries and regions around the world. PayPal is a subsidiary of eBay that serves as a payment-processing service for online vendors, allowing payments and money transfers to be made through the Internet; it serves as an electronic alternative to traditional paper methods such as checks and money orders or wire transfers. June 09, 2009: We have reason to believe that your account was accessed by a third party. Because protecting the security of your account is our primary concern, we have placed limited access to sensitive PayPal account features. We understand that this may be an inconvenience but please understand that this temporary limitation is for your protection. 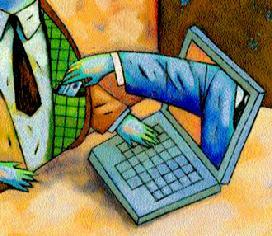 Make sure you never provide your password to fraudulent persons. If you try try to open http://adsl-66-137-86-81.dsl.lgvwtx.swbell.net/ with FireFox, you get more information. 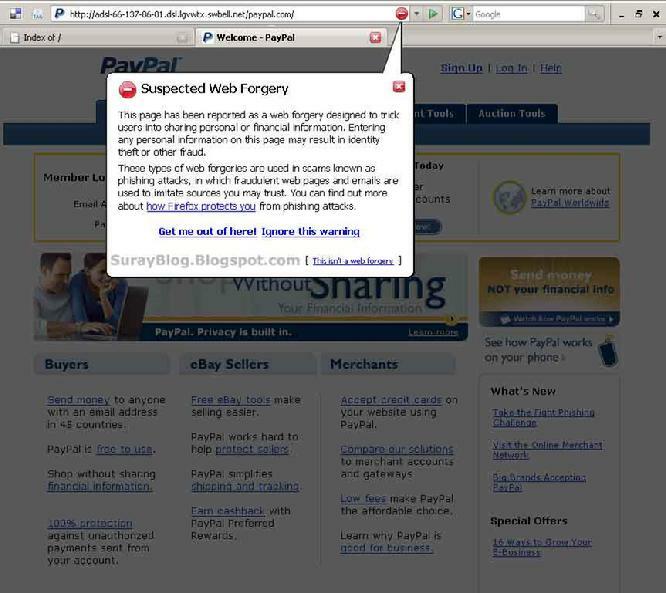 When you click the �paypal.com/� directory link, it takes you to a site that looks like PayPal in every respect, but with a notification from FireFox, telling you that this is a site that is suspected as a web forgery site. This is a fake PayPal site. If you put a fake email address, and fake password it will accept it. It's obviously only gathering information, not verifying it. I should warn you once again, do not enter your real username and password to test this fake PayPal site. If someone gets your real username and password, they can access the money from your checking account and or credit cards. This kind of attack is called as Phising attack .